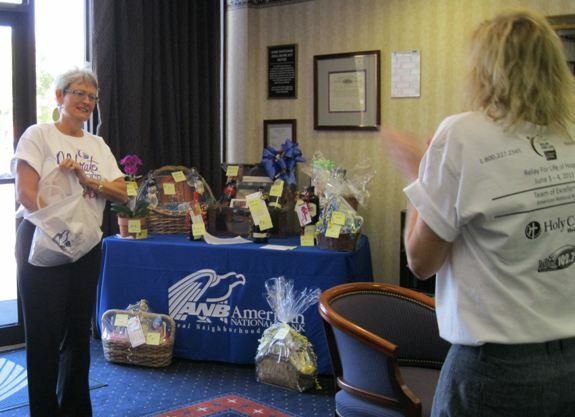 On Friday, June 3rd, Ginger Martin, President and CEO of American National Bank, drew the winners in the 2011 American Cancer Society Relay for Life fundraising raffle. Congratulations to our lucky raffle winners! Raffle winners will be posted in the branch and notified directly via phone. This entry was posted on Friday, June 3rd, 2011 at 5:18 pm and is filed under Uncategorized. You can follow any responses to this entry through the RSS 2.0 feed. You can leave a response, or trackback from your own site.